What Causes Snoring and Is Snoring Bad for My Health? 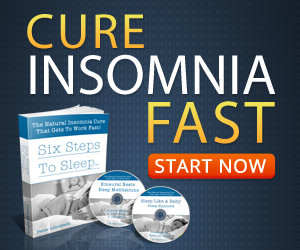 To Learn About Exercises to Completely Stop Snoring Click Here! Snoring can wreak havoc on your sleep schedule – whether you’re the one with the snoring issue, or the person lying next to you is causing the noise. It can become a serious medical condition if the snoring is something more – sleep apnea, where the person’s snoring halts their breathing and causes them to gasp for their next breath. If you’re sleeping next to a snorer, then you may not be in full control of the solutions you consider. Many couples find the sleep deprived spouse routinely moves into another room, wears earplugs, or spends all night tapping the snorer on the shoulder to interrupt the snoring and allow them enough time to get to sleep. It can be torturous to sleep next to someone who snores, because it’s like having someone constantly stand there waking you up throughout the night. You might get very irritable and feel guilt for getting mad at someone who can’t control their noise level during the night. The person doing the snoring (which may or may not be you) needs to find a solution that will quiet the snoring and allow them – and the ones they love – to have a peaceful night’s sleep. Snoring is so common that about one-third of adults seek solutions for this issue every year. It may happen nightly, or only on occasion, such as when you’ve had alcohol before bed. It’s caused when the air flows into your throat past the soft tissue, resulting in a loud vibration. People who are overweight may suffer from snoring more often than those who are not. Shedding pounds is often enough to shut down the snoring cycle for good. Some people have resorted to sewing tennis balls in the backs of their pajamas to forcibly keep them on their side, since snoring is more prominent when the person is lying on their back. Nasal strips and oral appliances can sometimes work. These keep your nasal passages or airways in your throat open to allow your breathing to continue without interruption. If sleep apnea is an issue, where your snoring fits suddenly stop with your breathing until you gasp for air, then you might want to consider undergoing a sleep study so you can be fitted for a CPAP (Continuous Positive Airway Pressure) machine. This mask pumps air into your airways, keeping them open to prevent snoring and interruption of breathing. As a last resort, you might consider getting surgery to address your snoring issues. All three surgeries aim to do the same thing – remove tissue obstructions to help you breath better during slumber, but each one uses a different technology. Uvulopalatopharyngoplasty (UPPP) is the common surgery done under general anesthesia where the doctor trims your airways of tissue that could be obstructing your breathing. Uvulopalatoplasty, or laser surgery, is another option where a laser beam is used to remove your uvula. It removes excess tissue just like traditional surgery, allowing air to flow without the loud, disruptive vibrations snoring usually produces. Somnoplasty, which is also known as radio frequency tissue ablation, is when a surgeon uses low intensity radio signals to take out part of your soft palate – enough to end snoring and allow air to flow freely. Talk to your doctor if non-surgical remedies aren’t working and see what type of options he or she can offer to help you (and your loved ones) find some peace and quiet during the night.